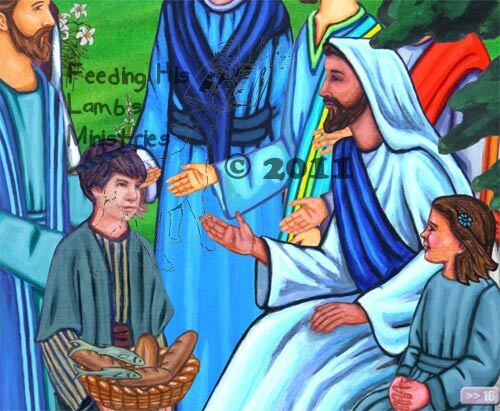 Jesus feeds the 5000, the miracle of the loaves and fishes and more. Click here for more information and to download the notes for Free. (Lesson YBQ4 48) This is lesson number forty eight of the second year in a three year series of lessons that cover the Bible starting in Genesis and finishing in Revelation. YA = Year A or Year number 1, YB - Year B or Year number 2, YC = Year C or Year number 3. Q1, Q2, Q3, Q4 represents the particular quarter the lesson falls into, and finally the actual number of the lesson corresponds to the week of the year 1 - 52.